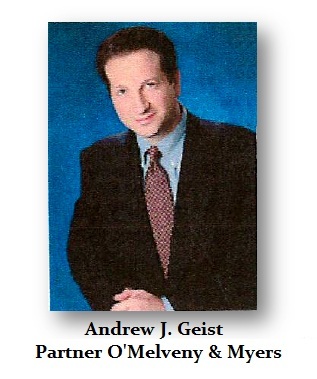 Andrew J. Geist was NY Regional Director of the SEC in 1999 at the time that office launched its case against Princeton Economics. The SEC then “requested” the court appoint Alan Cohen of O’Melveny & Myers, LLP as receiver and of course that meant O’Melveny & Myers became the law firm for the receiver and remains so more than a decade later. Geist then left the SEC and joined the very firm selected by the SEC. According to case law, that allegedly should have been a conflict of interest that necessitated the dismissal of the receivership.